So we finally launched our site yesterday afternoon. It has been up for 2 days and we already have about 200 users. The feedback has been very positive and we really appreciate any and all comments. I on the other hand have been responding to user feedback all night and am exhausted. When I say all night I mean that it is now 3:50 am and I am currently adding new games to the website. We currently have about 50 games on the site and will have about 60 by the end of the week. Incase any of you haven’t gotten the memo, the site has a wide variety of games that includes, World of Warcraft, Call of Duty, Chess, Words with Friends, and Starcraft… Basically any game that tickles your fancy (haha, sorry that made me laugh while I was typing) will be on the site. Come check us out at www.gamerpeer.com and let me know what tickles your fancy… I am obviously referring to games you want to see on the site. I don’t mean to brag…. but look at that creativity from our Design team. Crop a few images, change opacity a bit, and insert brilliantly colored white text. With this kind of skill we are able to edit any girl’s picture. Make a few changes to the coloring, enhance a few specific features, reduce some (if necessary) and the end result… a picture without red eyes. Absolutely brilliant. 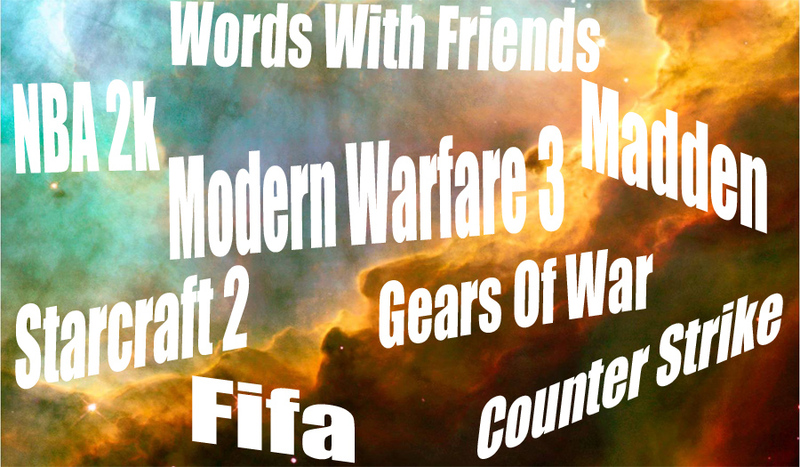 In all seriousness, these are a few of the games that will be on our website. One of GamerPeer’s goals is to unite the stereotypical action gamer with the up and coming casual gamer. We have over 40 games on the site and will constantly be adding new ones. If there are any games, action or casual, you think we need to have on the site, let us know. You can post on our facebook wall or email me directly at TheJackofAlltrades10@gmail.com. LoL wait time? Opportunity or another frustrated Gamer?